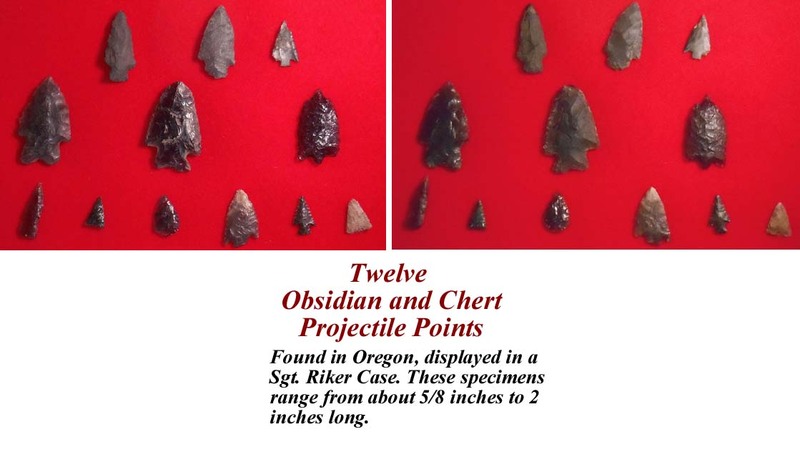 Twelve Obsidian and Chert Projectiles. 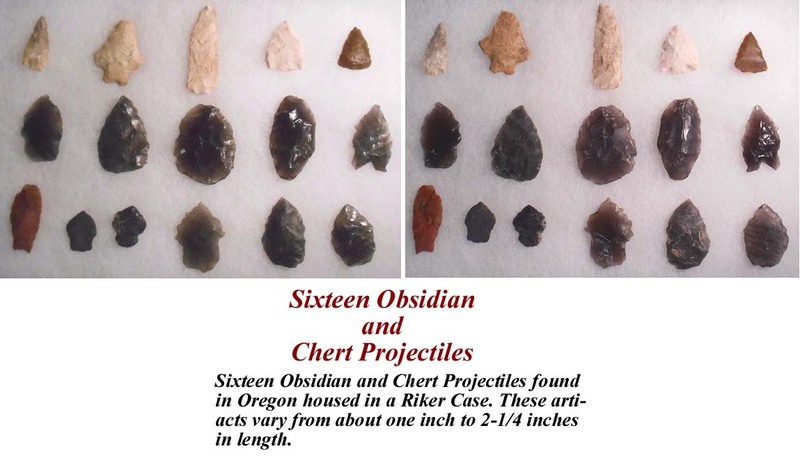 Sixteen Obsidian and Chert Projectiles found in Oregon housed in a Riker Case. These artiacts vary from about one inch to 2-1/4 inches in length. 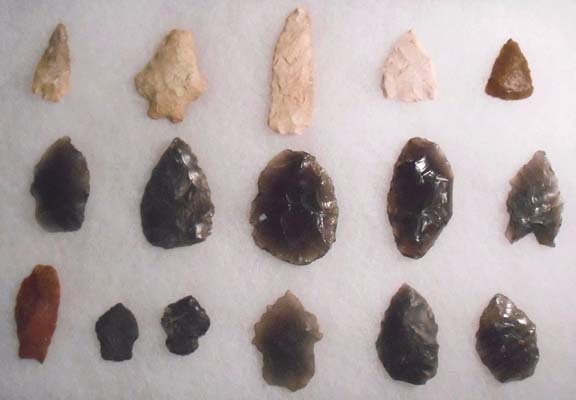 Twelve Obsidian and Chert Projectile Points. Found in Oregon, displayed in a Sgt. Riker Case. These specimens range from about 5/8 inches to 2 inches long. 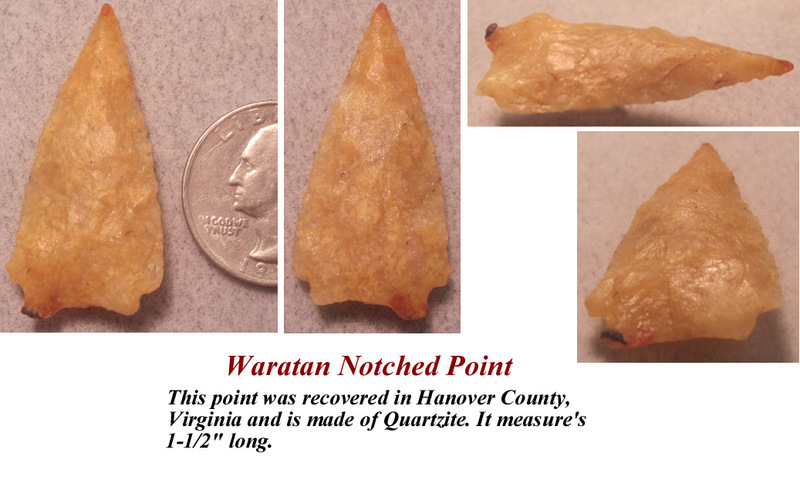 This point was recovered in Hanover County, Virginia and is made of Quartzite. It measure's 1-1/2" long. 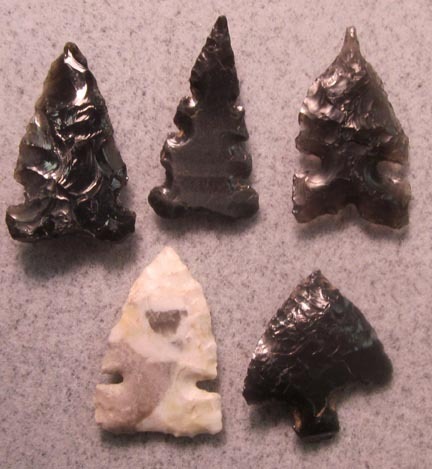 Five small and original Arrow heads. 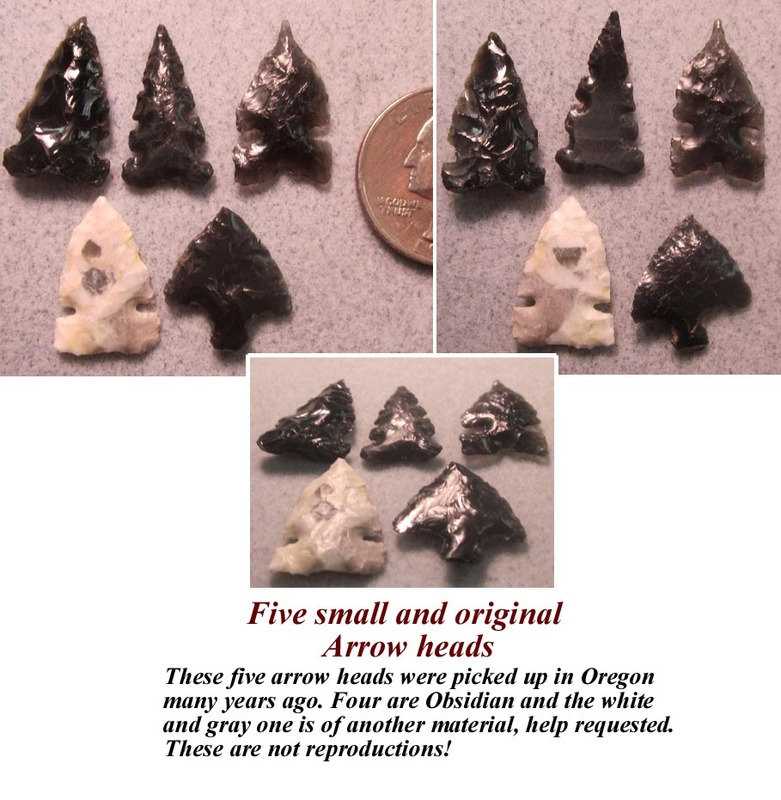 These five arrow heads were picked up in Oregon many years ago. Four are Obsidian and the white and gray one is of another material, help requested. These are not reproductions! 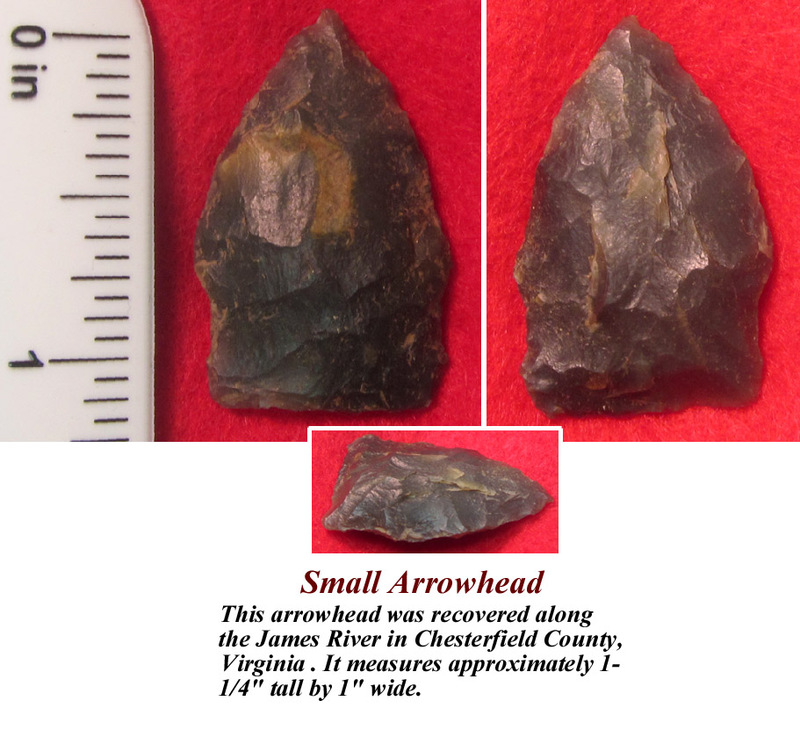 This arrowhead was recovered along the James River in Chesterfield County, Virginia. 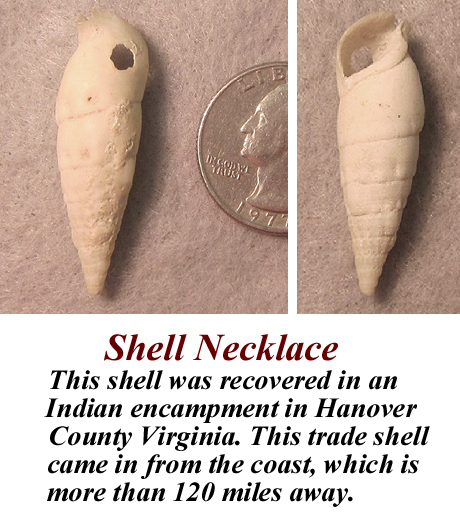 It measures approximately 1-1/4" tall by 1" wide. 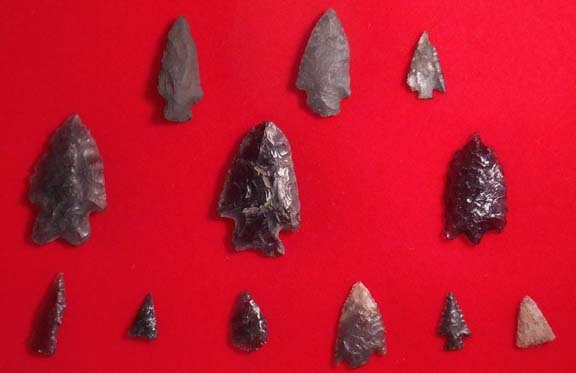 In the center of this beautiful collection is a Lancelot point made of gray Flint. The one on the left is a side draw knife. The one on the far right may be a drill, although it shows side knotching that could have been hafted for spearing fish. 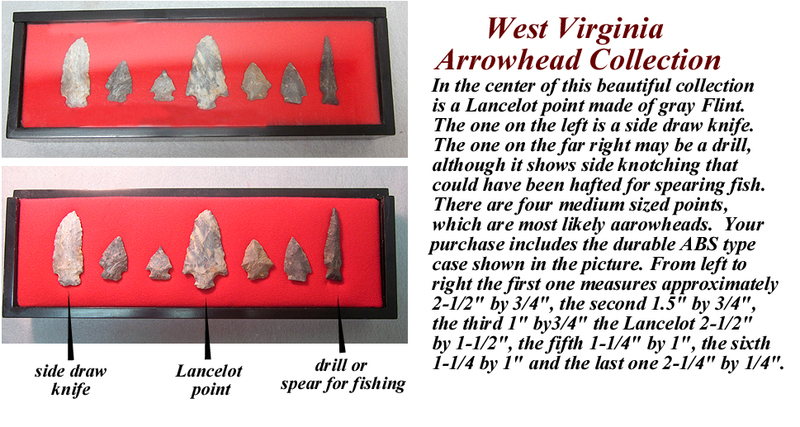 There are four medium sized points, which are most likely aarowheads. Your purchase includes the durable ABS type case shown in the picture. 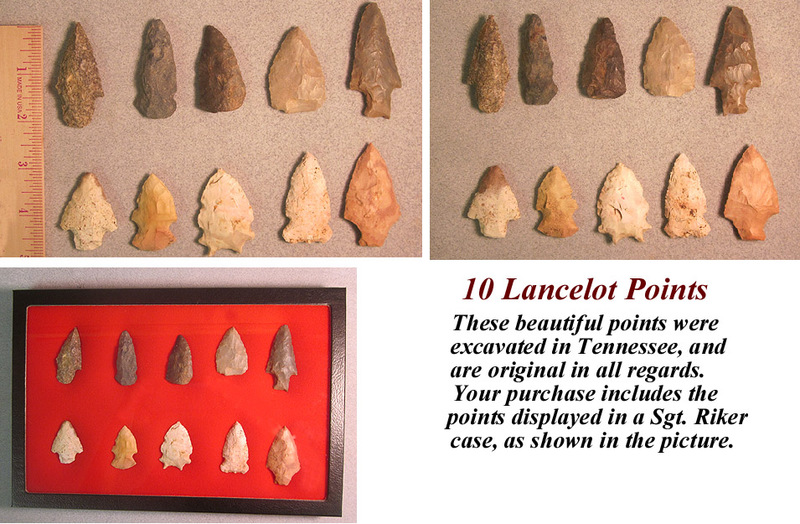 From left to right: the first one measures approximately 2-1/2" by 3/4", the second 1.5" by 3/4", the third 1" by3/4" the Lancelot 2-1/2" by 1-1/2", the fifth 1-1/4" by 1", the sixth 1-1/4 by 1" and the last one 2-1/4" by 1/4". in from the coast, which is more than 120 miles away. 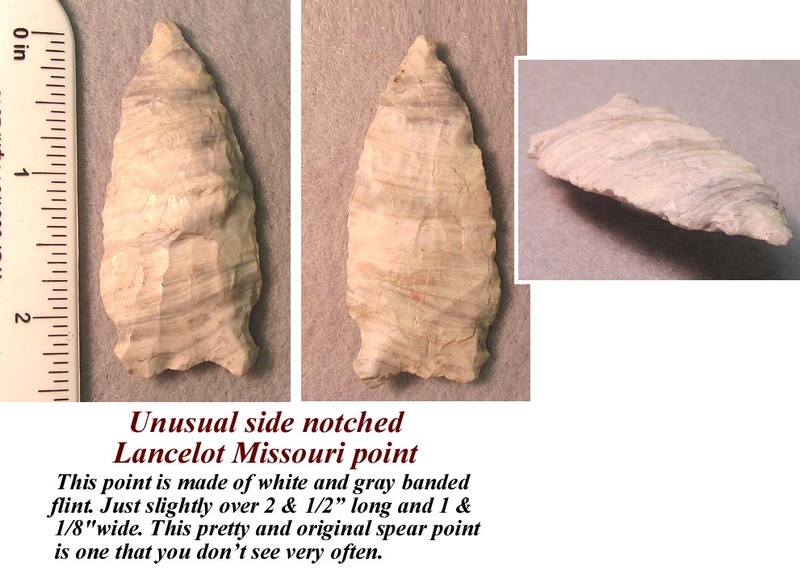 Unusual side notched Lancelot Missouri point. 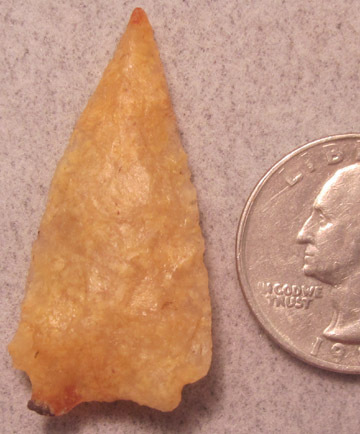 This point is made of white and gray banded flint. Just slightly over 2 & 1/2” long and 1 & 1/8"wide. 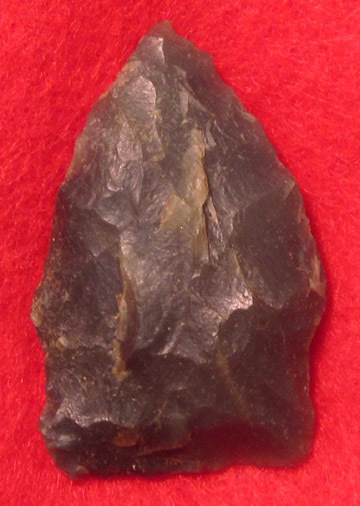 This pretty and original spear point is one that you don’t see very often. 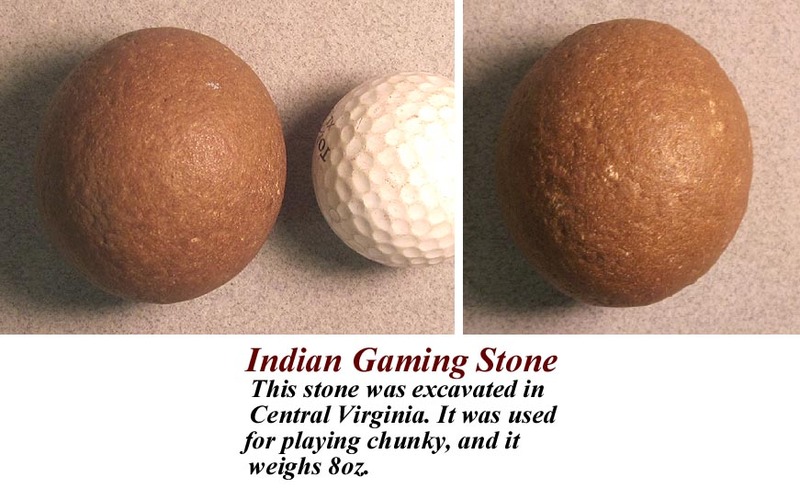 This stone was excavated in Central Virginia. It was used for playing chunky, and it weighs 8oz. 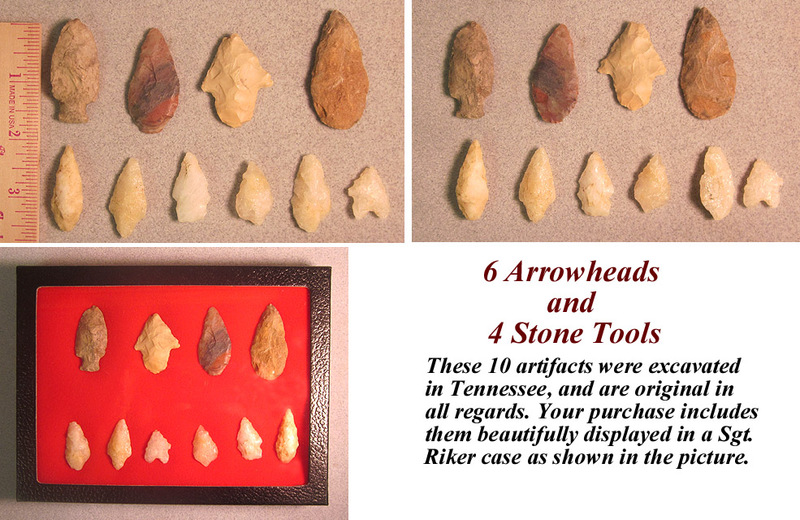 6 Arrowheads and 4 Stone Tools. 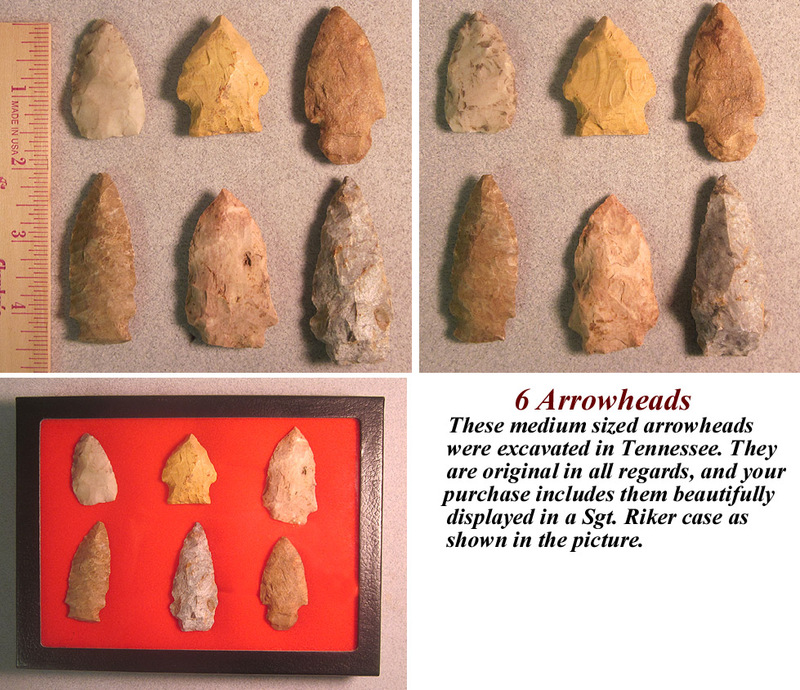 These medium sized arrowheads were excavated in Tennessee. beautifully displayed in a Sgt. Riker case as shown in the picture. 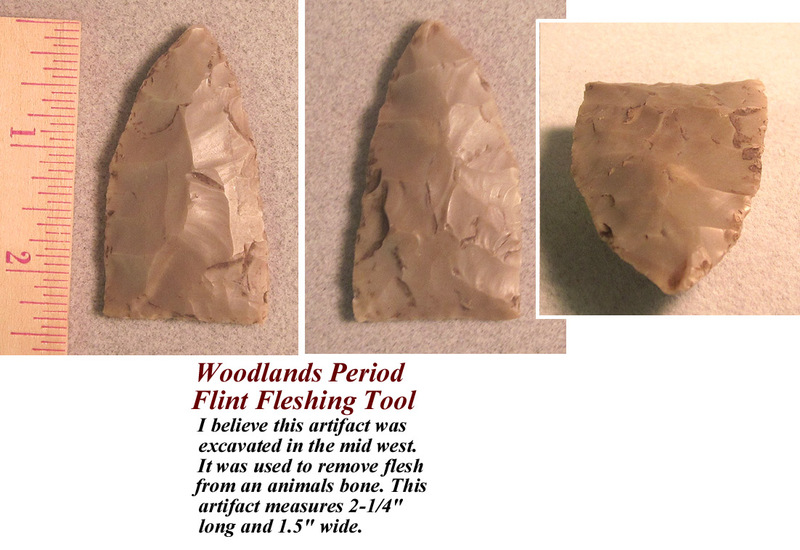 Woodlands Period Flint Fleshing Tool. I believe this artifact was excavated in the mid west. and it measures 2-1/4" long and 1.5" wide. 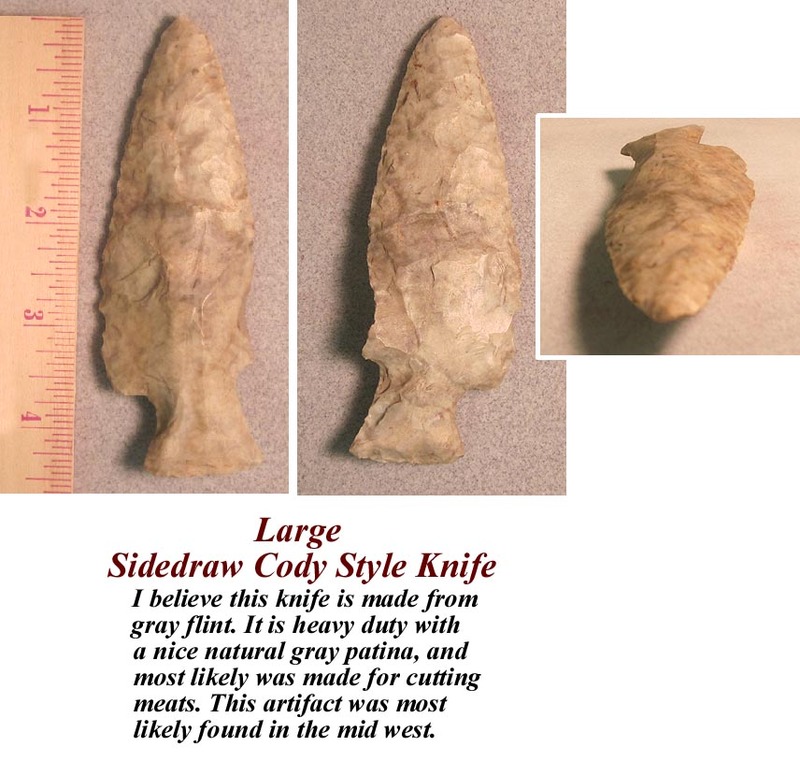 Large Sidedraw Cody Style Knife.